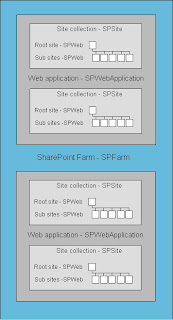 The SharePoint Showboat: SPFarm / SPWebApplication / SPSite / SPWeb - Ever get confused? Excellent!! thank you for this!! No provlem, ivanz. Glad you found it useful. 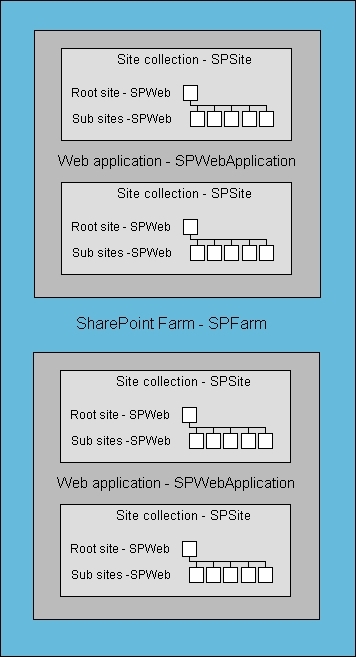 It does slightly over simplify the object model but it's helpful to quickly remember the difference between site and web. It's easy to forget which way round it is. Happy SharePointing!